Ice Cream Brand ‘Halo Top’ Introduce 7 Vegan Flavours! The vegan frozen treats will be made with a coconut base and include varieties that have proved to be favourites in the dairy range. Among others, classic American flavors Peanut Butter Cup, Cinnamon Roll and Oatmeal Cookie will feature in Halo’s new range. The brand haven’t compromised on the protein content of their ice creams by making them vegan friendly. Every pint of vegan Halo Top will provide a huge 12 grams of the stuff, so you really aren’t missing out on anything by opting for dairy free. 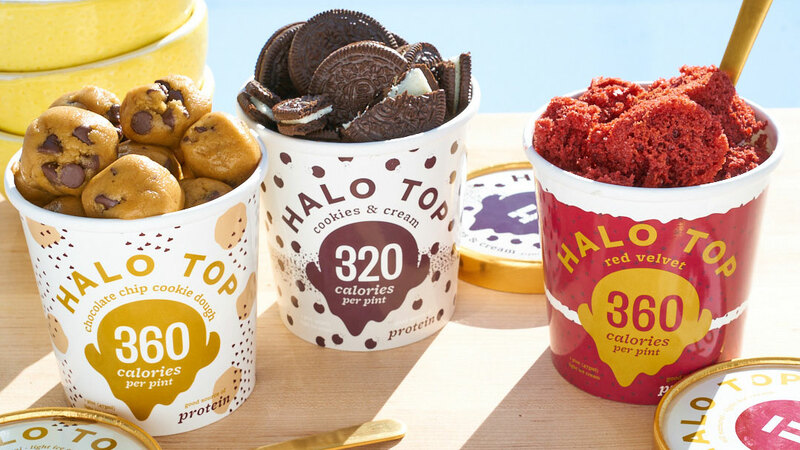 Halo are one of many ice cream brands that have branched out into plant-based versions of their products. Dairy-reliant companies including plant based options in their ranges shows how consumer demands are changing, with people steering away from dairy and towards vegan alternatives. As information becomes more widely available on the process of dairy farm, the greenhouse gases emitted by animal agriculture and the negative effect dairy has on our health, it’s likely that more ice cream companies will follow suit.